They don’t call them Sealy Posturepedic for nothing and the Millionaire Ortho Mattress is a true testament to the support and health benefits their orthopaedic mattresses offer. 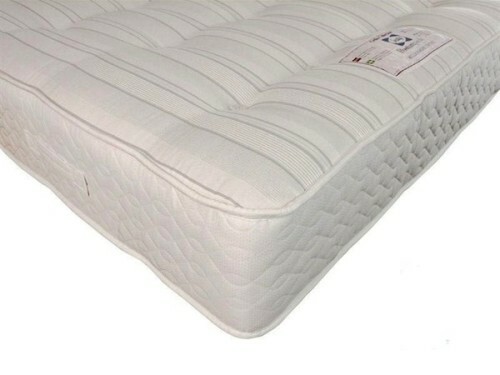 This relatively cheap mattress features an open coil construction with dense fillings to pad out the mattress and create a firm and supportive surface. Firm mattresses are highly recommended if you feel as though you have aches and pains in your back as they offer lower back support. Sealy’s ‘zero deflection spring system’ is used in the Millionaire Ortho and absorbs weight brilliantly without distorting while the Sealy edge guard reinforces the edges of the mattress to create more sleeping space. As this is a double sided mattress, it can be rotated which extends the life of your mattress and keeps it feeling fresher for longer. This is one of the cheapest mattresses on this mattress reviews site that Sealy produce but it still is built to a high standard and has its key orthopaedic health benefit. Its available in all the major sizes from single right up to superking and also is also made as a small double bed otherwise known as a “four footer” bed. This is ideal for smaller bedrooms but can still comfortably sleep two people as it is only 6 inches narrower than a standard double mattress. Type: Firm, Open Coil, Orthopaedic. 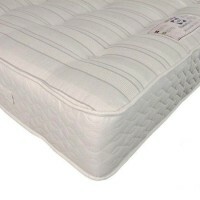 Be the first to review “Sealy Millionaire Ortho Mattress Reviews” Click here to cancel reply.